Difficulty: Moderate. 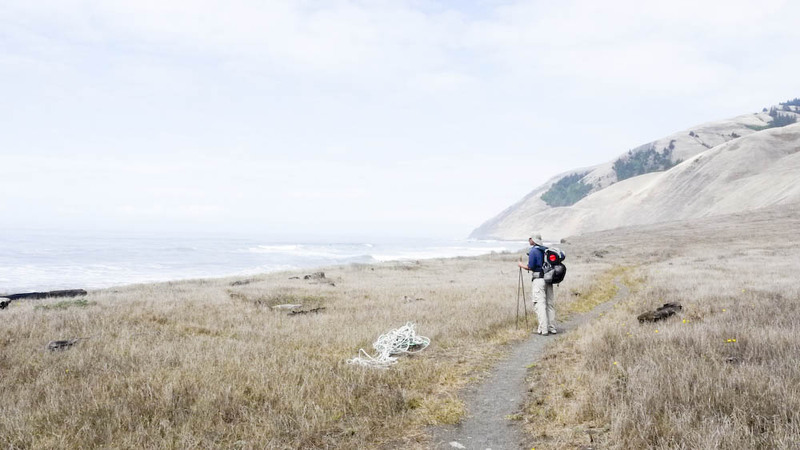 Two, five mile stretches of low tide crossing area from Gitchell Creek to Miller Flats and Randall Creek to Sea Lion Gulch that hikers need to be aware of. Duration: 1.5 hours for from Black Sands Beach to Gitchell Creek. 9 hours from Gitchell Creek to Punta Gorda, with 4 hour break at Randall Creek. After an 11 hour drive from Orange County (Southern California), we wanted to stretch our legs before we settled in for our first night on the Lost Coast. With this trip planned last minute, we were not able to find any ground transportation to shuttle us from one end of the trail to another, therefore we decided to hike the entire trail (50 miles) out and back. 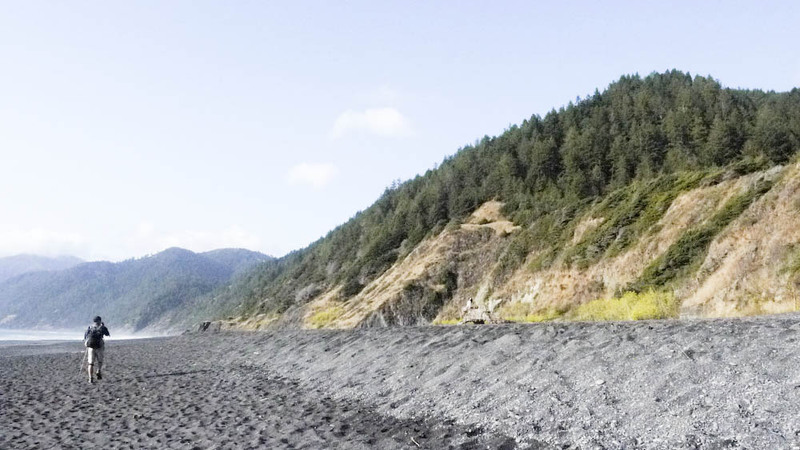 The typical route on the Lost Coast trail is hiking from north to south from Mattole Beach to Black Sands Beach with the tail wind on your back. We decided to go against the wind on our first stretch (South to North), when we are the strongest. Luckily for us, we did not hit any winds the first day and a half and was able to finish one way of the trail relatively windless. 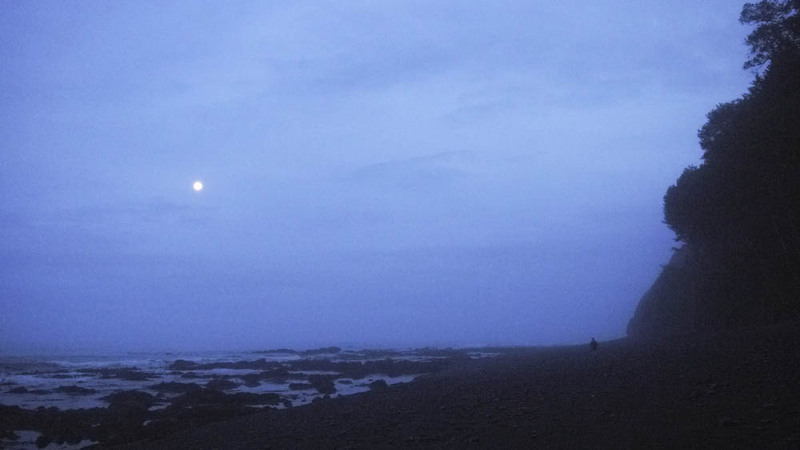 We headed out the trail at dusk after self registering for the backcountry permit at the start of Black Sands Beach. 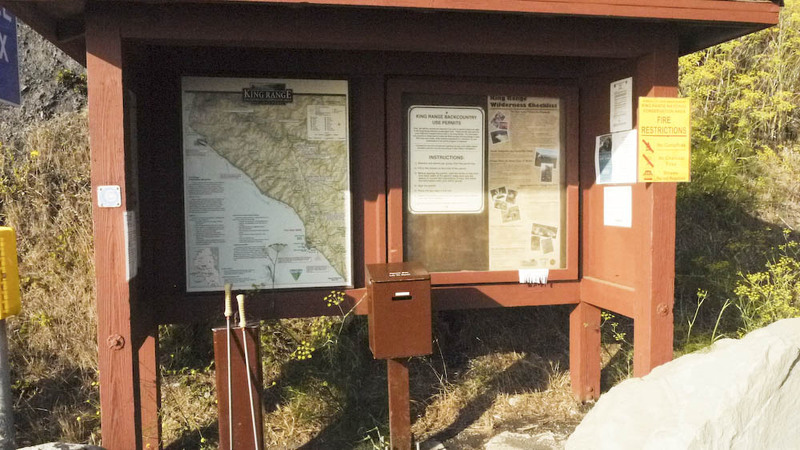 Back country permits can be obtained from the kiosk at the small parking lot below the main lot. Thanks to the abundance of day light, we were able to hike 3.9 miles to Gitchell creek on our drive day. Soft sand and slow pace. The first few steps take a bit of getting used to. 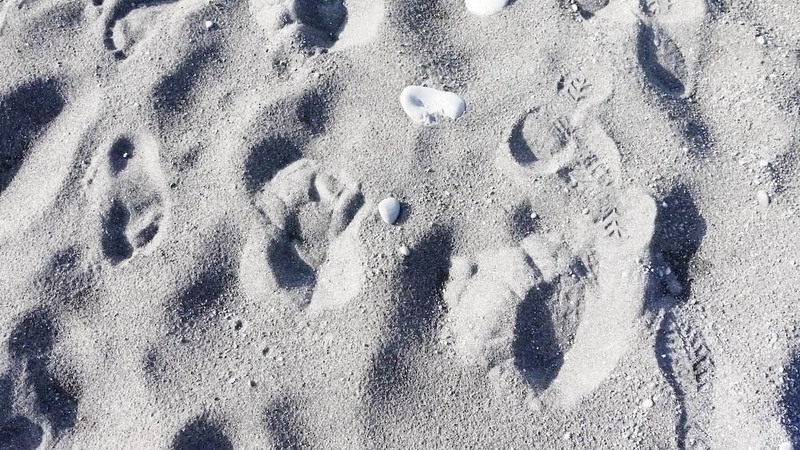 Wet sand can be difficult to walk on however, soft and loose sand is worse. The soft sand slows your pace down quite a bit. We chose to walk on wet compact sand closer to the shore for a faster pace. Setting up camp once we arrived at Gitchell Creek. Just up ahead is the 5 miles of impassable high tide area. Based on our tide map, we knew the low tide is at 6AM the next morning. We set up camp at Gitchell Creek for the night, this is just before the impassable area. Gitchell Creek is located inside a cove which we found to be wet and humid. 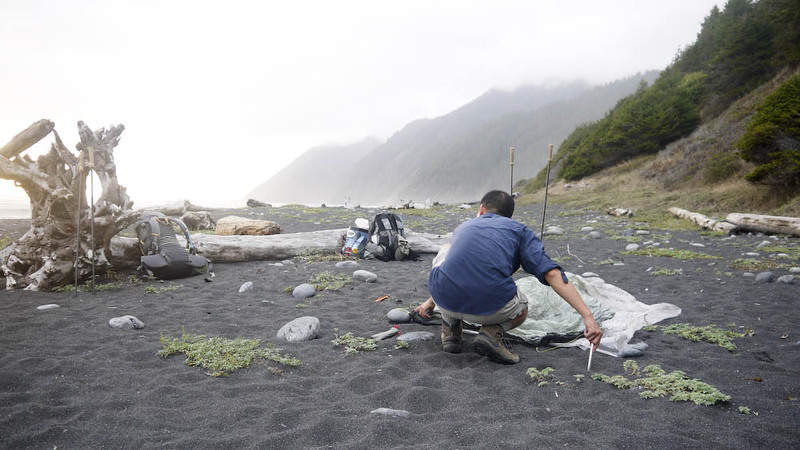 We had a rainstorm that was not forecasted in the middle of the night, which is common along the Lost Coast. When we woke up the next morning, all of our gear were wet, including anything clothes not covered in the dry bags. We were packed and got ready to go by 6AM. We hiked about two hours and reached Miller Flats around 8AM. Because we started early, the wet beach sand was exposed, making it easy to cross through the five mile stretch of coast. Hiking in the moon light, the fog was very heavy that morning. Along the way by Buck Creek, a salty fish smell will hit you. 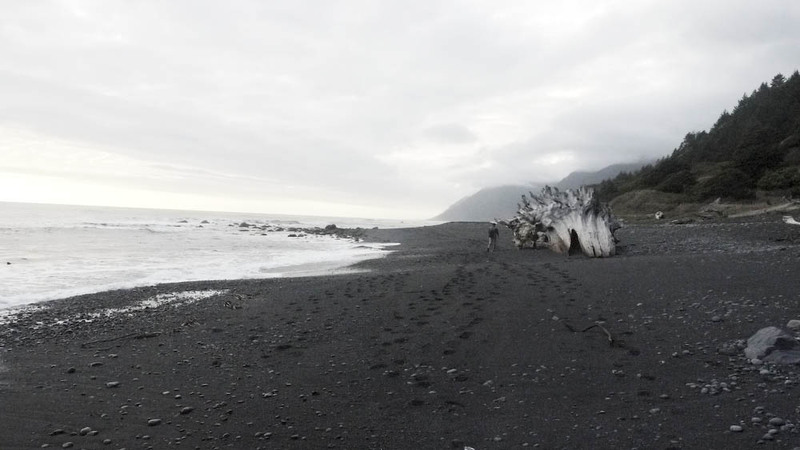 Turn to the right and find a decomposing whale, you can’t miss it! 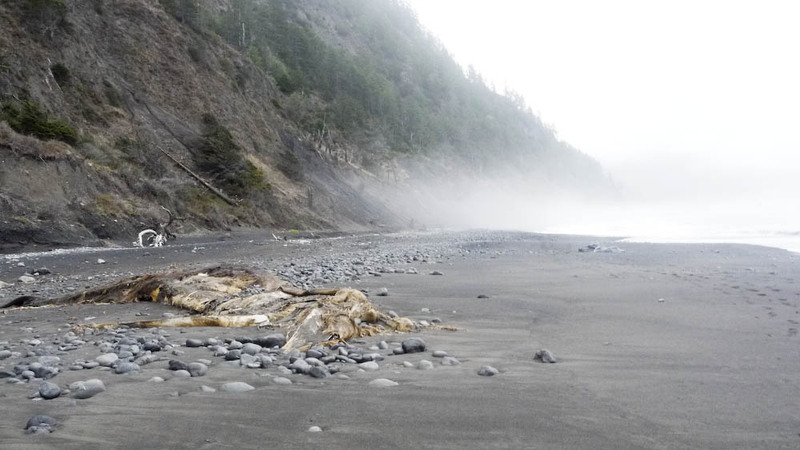 The whale was reported to be beached on February 2015. We kept going past Miller Flat and went along the beach before heading back towards the bluffs. The entry up to Miller Flat is a sketchy rock outcrop. Be extra careful about climbing it on a slick morning. Spanish Flats, we were grateful to be on hard ground instead of the soft sand. After breakfast, we continued on past Big Flats and Spanish Flats, passing Kinsey Creek, Oats Creek, and Spanish Creek. We arrived at Randall Creek at around 12PM. Beyond this point to Sea Lion Gulch is another impassable section of the trail during high tide. Luckily, we found a nice spot inside the creek to clean up and rest while waiting for the tide. Charging up the cellphone/GPS with a Suntactics Scharger-5 at Randal Creek. 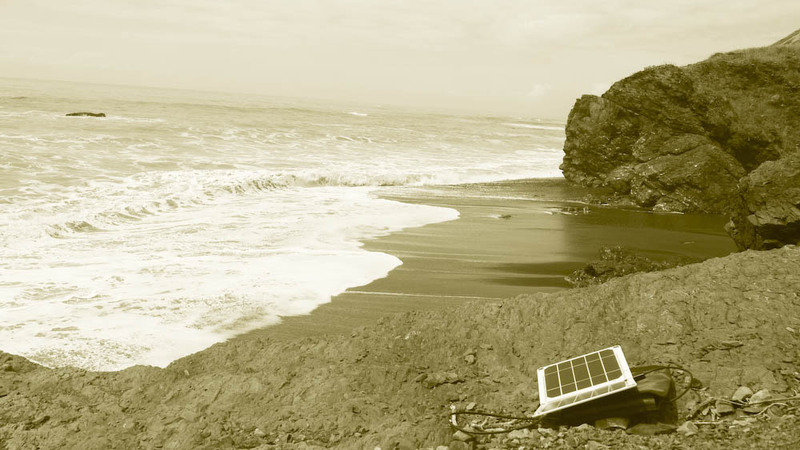 The far point on the photo is the start of the impassable point at high tide. The tide was finally low enough at 4PM. We started crossing and rock scrambling to Sea Lion Gulch. This is probably the toughest stretch of the trail with slick round rock. We destroyed one of our Gossamer Gear LT4s carbon poles on this section, and the rocks really beat up our feet. The trail gets a little difficult to navigate from here. The tide was finally low enough at 4PM, we started crossing. The rock scrambling between Randall Creek and Sea Lion Gulch left my feet very sore. 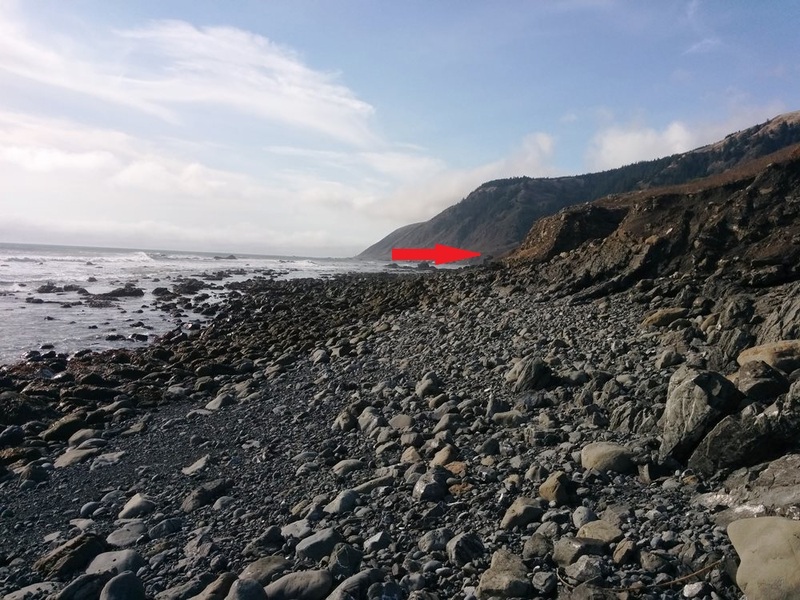 Part of the trail goes above the bluffs and drops back down onto the beach because of an impassable rock outcrop. It continues to climb up to the bluffs via Sea Lion Gulch. Look for the two buoys attached to a post with an arrow next to a set of fences to climb to the first ridge line. Follow the trail to an old abandoned cabin. A fork here leads you to the Cooskie Spur Trail, LCT, and an unmarked trail. Parts of the trail have eroded, making it difficult to get on the bluffs. See photos below for information. There are also alternative trails that were made to cross over the area during high tide. A couple hikers hiked it to Cooskie Creek on our return trip. The trail starts by the old abandoned cabin and follows the ridge line. 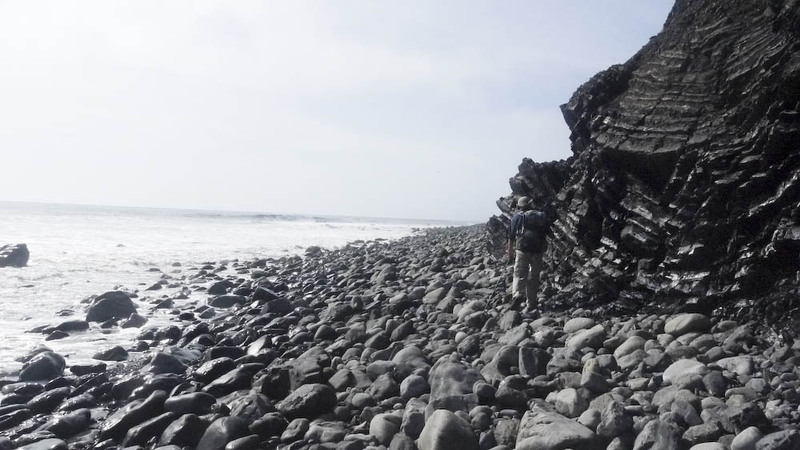 The dark rock outcrop is impassable. Look to the right for two bouys on a sign post! Once you pass the hung buoys and cabin, you will hit the sign post. 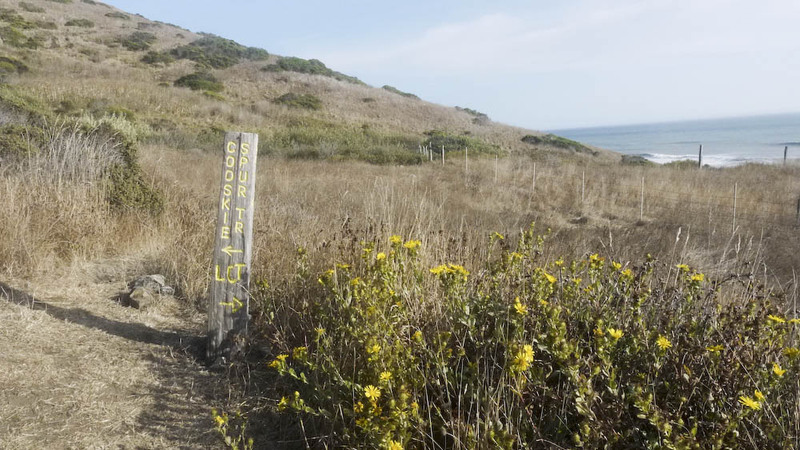 Straight ahead is a unmarked trail back to Cooskie, fork left and follow the trail to Sea Lion Gulch. 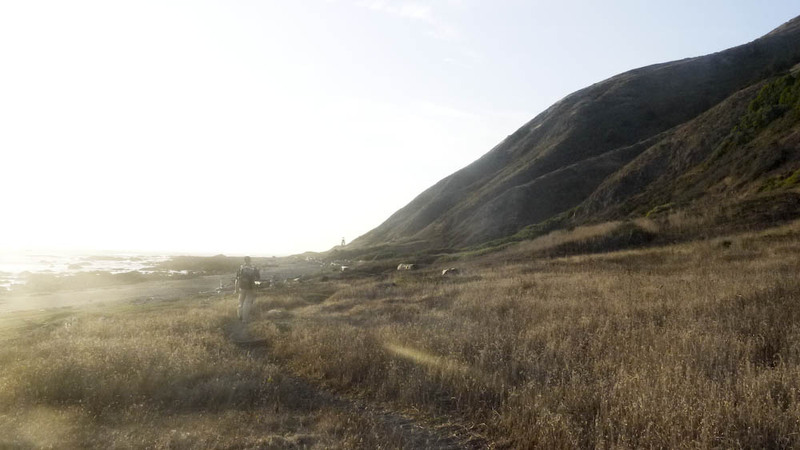 The trail climbs up to a bluff top and drops back onto the beach through a set of switchbacks. 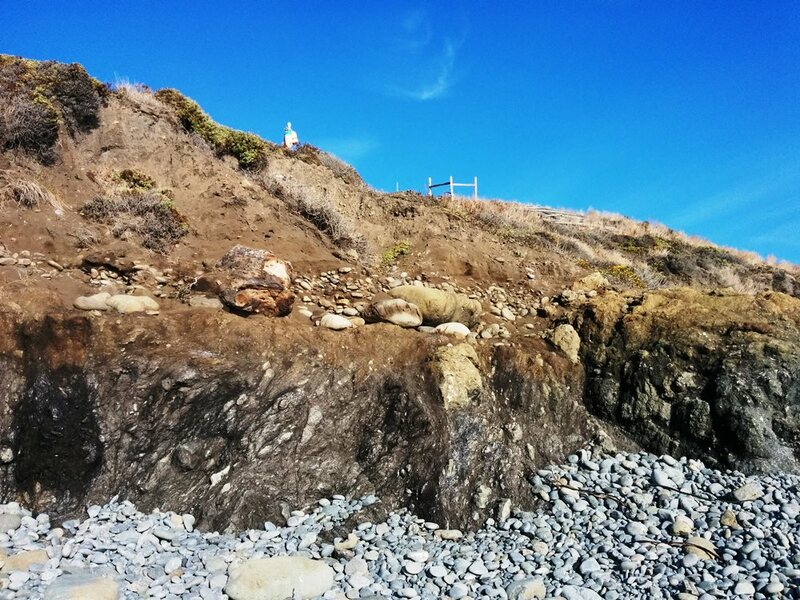 Continue along the beach till you hit Sea Lion Gulch. Follow the creek up to the top and continue climbing above the bluffs. The view on top of Sea Lion Gulch. There were no good campgrounds, all were sloped, so we kept moving forward. 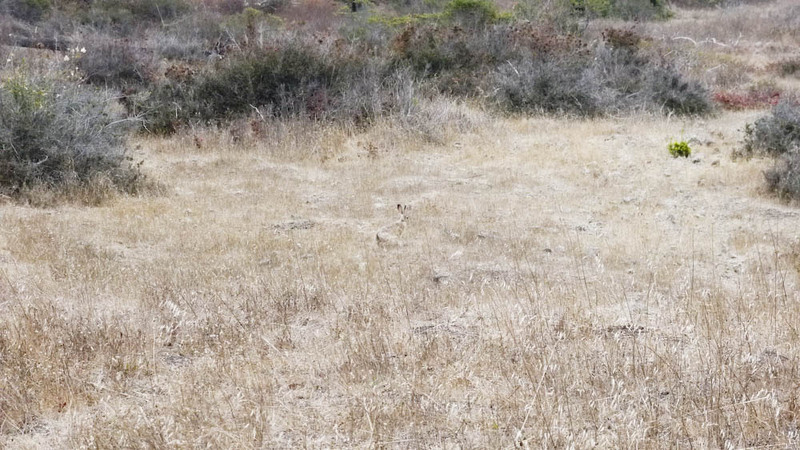 Camping on Sea Lion Gulch areas proved to be less desirable. The campgrounds were all sloped. We soldiered on until we stopped at Punta Gorda, a couple hundred yards shy of the light house. After a long day of hiking, we lost our lighter at Randall Creek, forcing us to eat a cold dinner. A mood killer after a long day of hiking. One of the surfers we met on the trail said the winds will pick up overnight to about 30 mph. Sure enough, the wind hit around dusk, making it difficult to set up our tent. 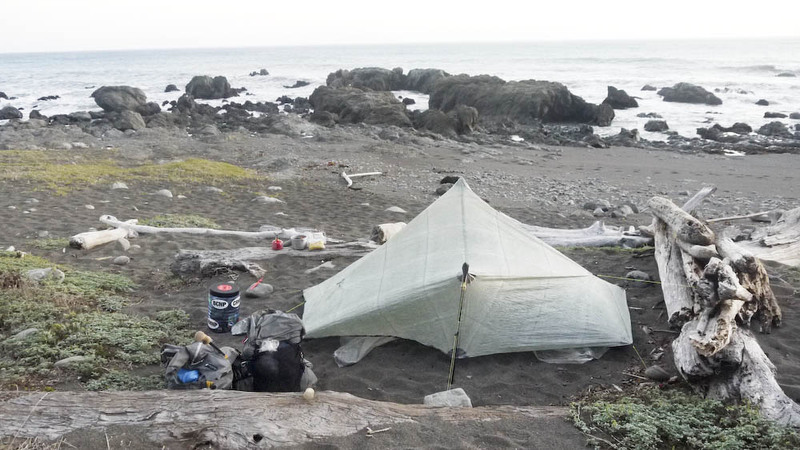 We ate our meal, settled into the tent, set the alarm clocks for 5:30AM for the next morning to tackle the last impassable section right before Mattole Beach. 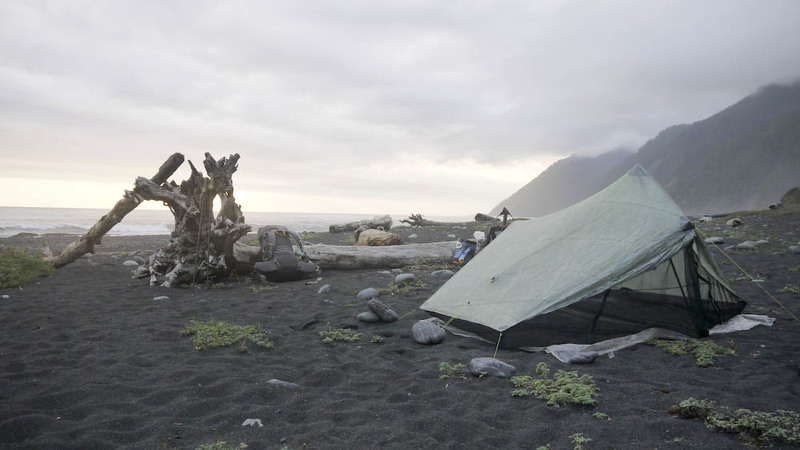 We set up the Hexamid on the beach and settled in for the night. 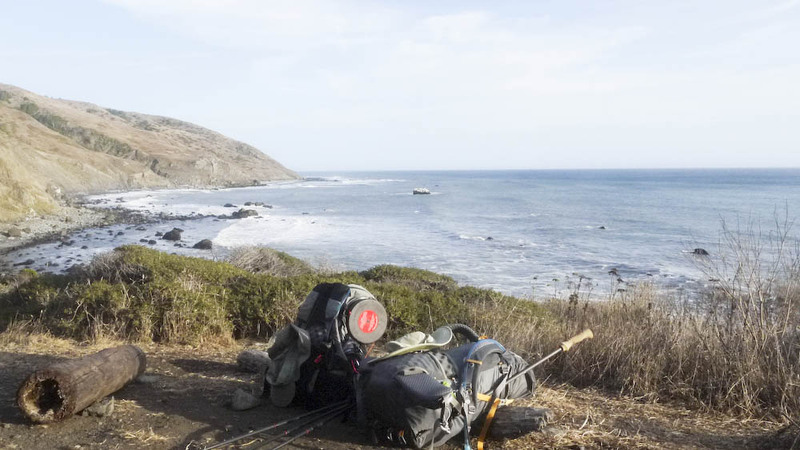 This entry was posted in Hiking & Backpacking, Trail Reports and tagged backpacking, beach, California, camping, Hiking, lost coast, traveling by hikenoworklater. Bookmark the permalink.